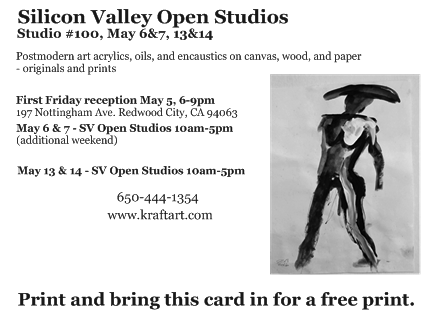 Silicon Valley Open Studios - Kraft Art Studio is site #100, open the first two weekends of May, the 6th &7th and the 13th & 14th. 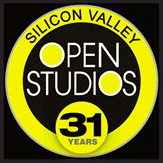 ​at 197 Nottingham Ave, Redwood City, CA 94063. ​Park in the Target Parking lot, near Marshall's for the best parking and least walking to the studio. Enter through the Nottingham blacktop driveway entrance.